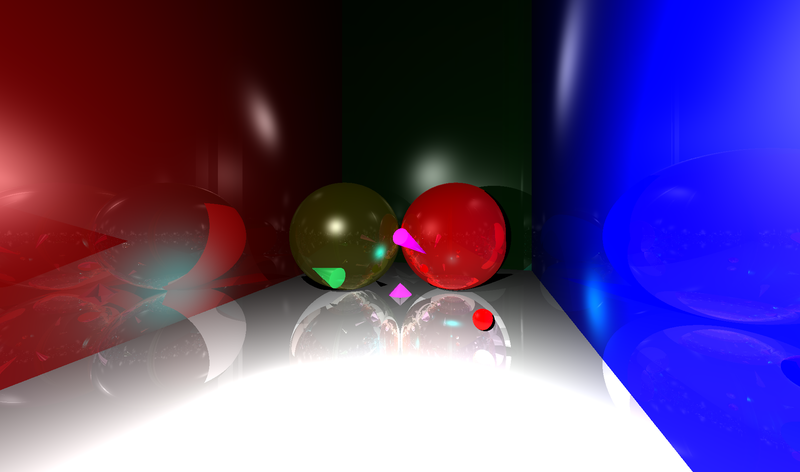 This was a project to create a simple raytracer using phong shading and specular reflection. Reflective surfaces was also implemented. Primitives in the raytracer include point lights, planes, circular planes, spheres, and cones. This is created for a program wide collaboration project (The Nutjob Game) by myself, it is an impulse based physics engine and some features include n-sided polygonal collision detection (convex), spline collision detection, and circles. Rigidbody motion was not included because it was not necessary for the game. The properties physics objects can have are restitution, friction, mass, as well as definitions for restitution/friction combination modes. The objects also support custom gravity definitions, collision callbacks and filtering.